To kickstart our 2019 Career & Graduate School Fair, we will have a panel discussion featuring guest speakers consisting of Macaulay alums, who will speak to students about their life after Macaulay and job search experience. Just like you, they were Macaulay students unsure of what to expect after graduating. Listen and learn how to successfully transition to the working world! Karan Chachlani is an analyst at Viacom, a multimedia conglomerate that houses global properties including MTV, Paramount, Nickelodeon, Comedy Central, VidCon, BET, VH1, AwesomenessTV, and more. 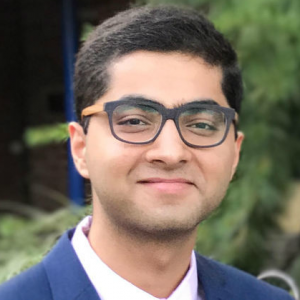 Working within the Innovation Products & Partnerships team, Karan helps monetize emerging technology products like AR, VR, and AI to scale for advertising client sponsorships. Before joining the company full-time, Karan interned at Viacom throughout his junior and senior years of college, in various groups like ad sales and partnerships, business development, content distribution, and programming acquisitions. He has also held internships in ad sales at A+E Networks, and economic development at the Governor’s Empire State Development agency. Karan graduated from Macaulay at Hunter College with a major in economics and minors in computer science and media studies. Before joining Kaufman Music Center’s development team full-time last year, Kelsy Hillesheim completed a season-long apprenticeship at Roundabout Theatre Company. On Saturdays during the school year, she continues to teach early childhood violin classes at Songcatchers, a non-profit in New Rochelle. She is also currently auditing the BMI Lehman Engel Musical Theatre Workshop as a lyricist and serving on the Jr. Board of INCLUDEnyc. 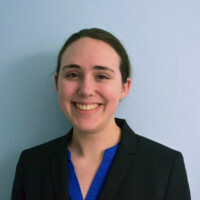 Kelsy completed internships at Kaufman Music Center and the office of Assembly Member Rebecca A. Seawright in her time at CCNY, where she studied Philosophy with a minor in History. Adam Hobbins is a contracts and agent’s assistant at Janklow & Nesbit Associates, a literary agency. Previously, he has held internships with Vix Foster Productions, Regina Ryan Books, and Film Forum. He has also worked as a design assistant for Libbey Glassware and has written film reviews and film premiere and festival coverage for The Knockturnal. 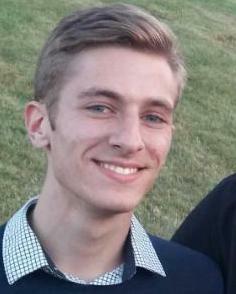 He spent a semester on exchange in Paris and a summer on study abroad in Barcelona. He is a graduate of Macaulay Honors College at Hunter College, where he double majored in film and English.